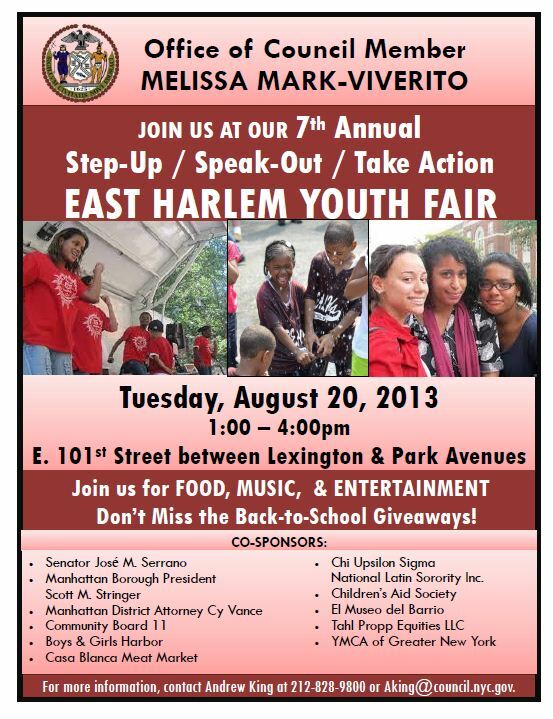 Please join us on Tuesday, August 20th from 1 pm – 4 pm for our 7th Annual Step Up, Speak Out, Take Action East Harlem Youth Fair! As always, we’ll have food, music, live entertainment, back to school giveaways and a chance to connect with local organizations offering services in our community. Don’t miss it! !